Draft County Comprehensive Plan to be reviewed by the Planning Commission Mar. 20 and Apr. 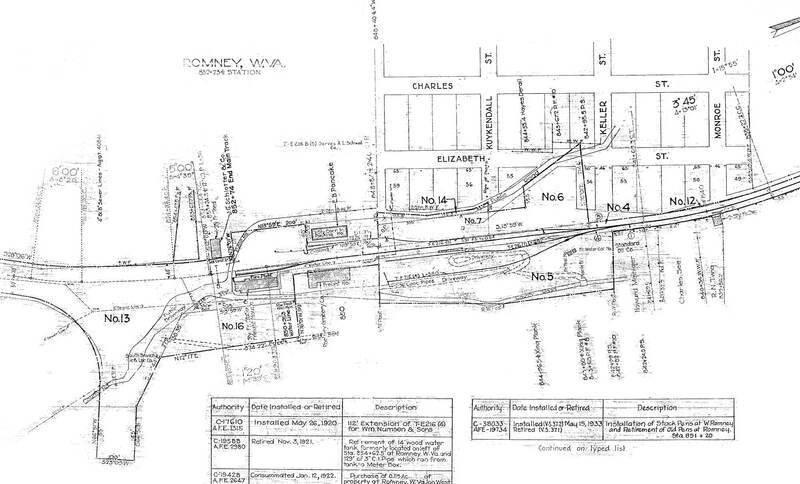 17, 2019 Click here for the Draft Plan. - large file. Note: To be finalized in 2019, so check it out now! Posted as a community service. Read it. The statistics are a pretty damning indictment of how poorly we have worked in the past ten years to better our community! Our suggested Pointers for an Attack on these serious problems. Some suggested Topics for Consideration in expanding economic opportunities. The Town of Romney has sold two choice burial slots in the space next to the Confederate Soldiers grave sites to Royce Saville for his personal use. This is an egregious conversion of part of a 150 year old historic site to personal use by someone. Click here for more information on this breaking of a sacred trust to hand on our historic sites to future generations as we received them! UPDATE: On December 7, 2017 a suit was filed in Hampshire County Circuit Court against the Town of Romney contending that the out-of-court settlement agreed to by the Town of Romney and Royce Saville violated the Open Governmental Prceedings Act and West Virginia Code §8-12-18(b). The suit seeks injunctive relief prohibiting the transfer of the lots and such further relief as the court may deem appropriate. The law provides that the court may find that any person who willfully and knowingly violates the ... [Act] is guilty of a misdemeanor and, upon conviction thereof, shall be fined not more than five hundred dollars. We will keep you posted on the progress of this suit. We had a court appearance March 18, 2019 at 2:30 p.m. in the Romney Judicial Center. The judge wants more documents, and the Town is getting an opinion from the West Virginia Ethics Commission. We will wait to see what happens next. Click on the title above for a link to more information. Sometime in the 1730s and 1740s the trickle of explorers and settlers began. The migration was primarily from Pennsylvania rather than from the piedmont of Virginia. During the trying years of the French and Indian War, Hampshire bore the brunt of enemy attacks. Although Virginia was a long way from Canada, the French know that Virginia was one of the wealthiest and most populous Colonies and a leader in the push for British expansion to the west. It was because of this that Col. George Washington, Commander of the Virginia Regiment, built a chain of forts in Hampshire County as the northern bulwarks of his western line of defense. Col. Washington was familiar with the area, having traversed it for five seasons as a surveyor for Lord Fairfax, the proprietor of the Northern Neck Proprietary.During the terrible days of the first half of the French and Indian War, many settlers fled to more peaceful areas; many who stayed died on their farms at the hands of ravaging warriors. Before the fall of Fort Duquesne to Gen. Forbes in 1758, much of Hampshire County was devoid of people. After the war, the pace of settlement increased. 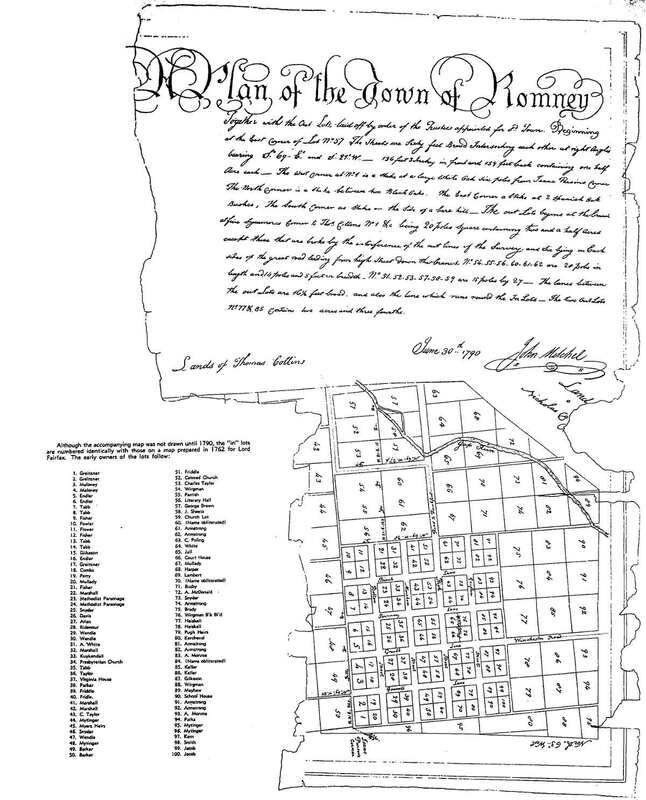 In 1762 Romney was incorporated as the county seat. 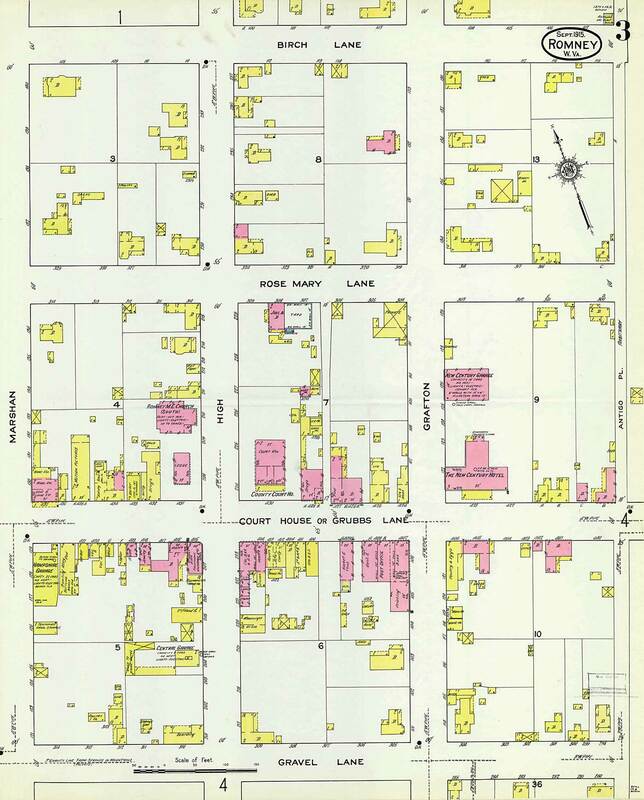 In 1787 Watson (later named Capon Springs) was incorporated at the medicinal springs in the south-east part of the county. In 1786 a state road had been completed from Winchester to Romney. As the frontier of the new nation moved westward, more roads were required to serve the expanding nation. In the 1830s the Northwestern Turnpike was built, eventually running from Winchester through Romney to Clarksburg and on to Parkersburg on the Ohio River. By 1845 a stage line ran from Romney to Morgantown and Parkersburg. 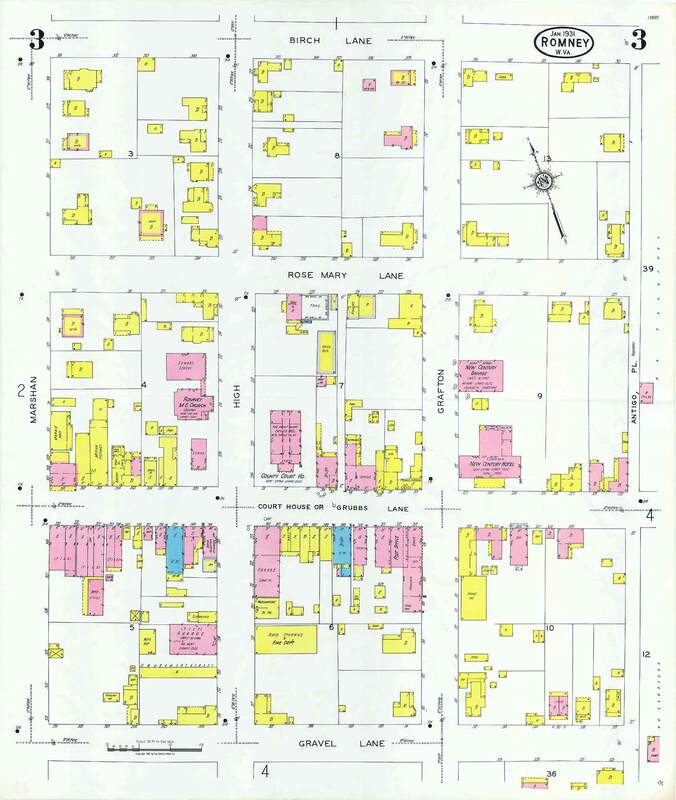 The far western counties of Virginia were developing as industrial centers along the Ohio Rivers, but Hampshire and its neighboring counties remained rural, agricultural areas. It was during the war that Virginia was split, and Hampshire County became part of the new state of West Virginia. Hampshire's placement in the new state was a matter of Federal politics and did not reflect the sentiments of the people of the county. 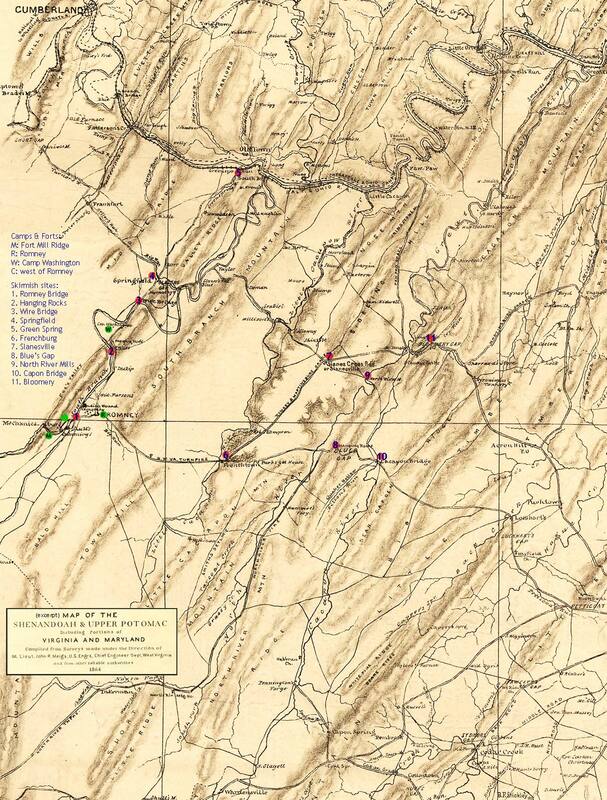 Counties to the west had ties to the North by way of the Baltimore and Ohio Railroad and the C&O canal; they had little in common with the commerce and government of Virginia. Hampshire County, on the other hand, was linked more to the Shenandoah Valley, and Hampshire's colonial heritage gave it stronger ties with the Commonwealth. Therefore, its sympathies were Southern. "Stonewall" Jackson had an early compaign in the County that attempted to cut the Federal government's transportation link to the western states that ran along the Potomac River, Hampshire's northern boundary. Because of this strategic location there were many troop movements through the county and Romney is said to have changed hands 56 times during the war. Hampshire County raised thirteen Confederate companies for the war but only one Union company. After the Civil War on Sept. 26, 1867, Hampshire's citizens dedicated what was perhaps the first Memorial raised to Civil War dead of a Southern community. It still stands today in Indian Mound Cemetery in Romney. 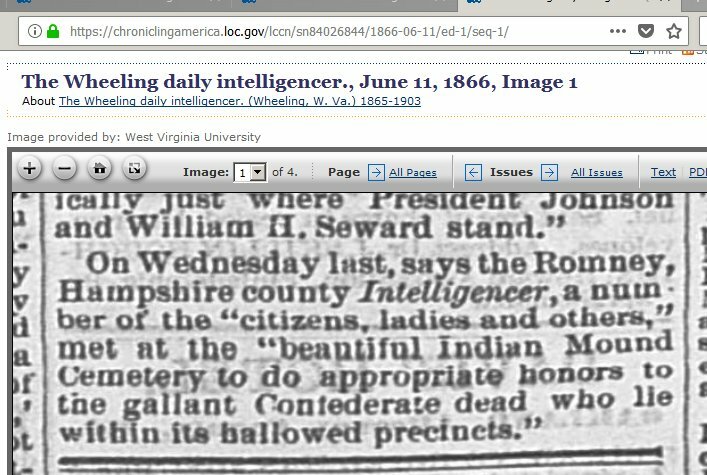 The fact that Indian Mound Cemetery is the burial site of two West Virginia governors (John J. Jacob - 4th Governor; John J. Cornwell - 15th Governor) evidences the county's involvement in the new State's political life. Hampshire County has great natural beauty. Although the area is not now as bountiful for the hunter as was true in George Washington's day, Hampshire has always been an abundant land. The rivers are wonderful for swimming, and they abound with fish. The skies above are filled with wildfowl. The Trough, a cut that the South Branch River makes through the mountains, is one of the best locations for spotting the majestic bald eagle. The Potomac Eagle, a sightseeing passenger train, runs from spring through fall so tourists may view the breath-taking scenery and the eagles. The several communities with "Spring" in their name give a hint to another natural treasure of the area known to early settlers. Even today, Capon Springs resort is renowned for its lovely wooded setting and its wonderful hospitality. Ice Mountain on the North River is a geologic anomaly with rare flora near its ice caves. Today it is maintained by the Nature Conservancy. Throughout the county there are fields, streams and mountains that offer a feast for the eyes and for the spirit. Romney, where the first Literary Society in the state was founded in 1819, is home to the West Virginia Schools for the Deaf and Blind. Hampshire County is a land mindful of its colonial heritage and the precious traits of character that made it strong. It is a place where the visitor will be made to feel welcome. Save our Dark Night Sky - the County Comprehensive Plan is up for its review/reassessment so now is the time to get involved in saving our Dark Night Sky. This is the first step to notify the Planning Commission that it is a priority and needs to be included in the building code! Our new database search project: Hampshire Database includes Sims Index of Land Grants, Survey Books A-E and Indian Mound Cemetery. Now working! Please use Google Search to find items on this web site. To search this site only place after the search words you want to find enter "site:historichampshire.org" without the quotes. Google will then search only this site. The capture of Generals Crook and Kelly in Cumberland, Md. Veterans, Alfred Whiting, Jacob Green, Benevolent Cemetery, etc. Whipple Truss Bridge at Capon Springs Nominated for the N.R.H.P. 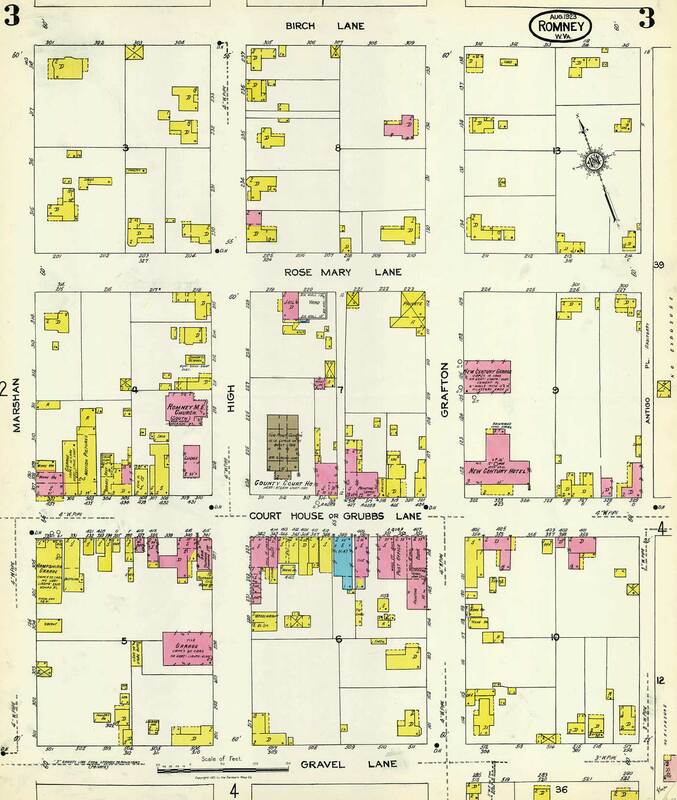 County & Private Records: Surveys, Wills, Deeds, Journals, Registers, etc. Agriculture and Industries - Fruit, gunsmiths, hatchery, dairy, etc. Old Pine Church update coming! We invite churches to submit a history! Neglected Places - Buildings or sites which desperately need preservation or they will disappear. 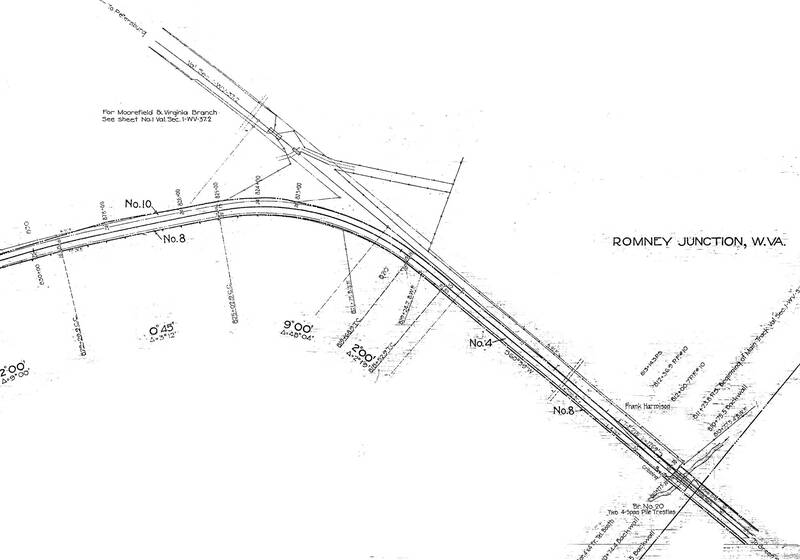 Note: the following are large maps of the center of Romney; you can click on them and your browser will show them or you can right click on the link and save it to your computer for viewing later or for editing since it more than fills your screen. They are large files (180-280kb) which take some time to download. 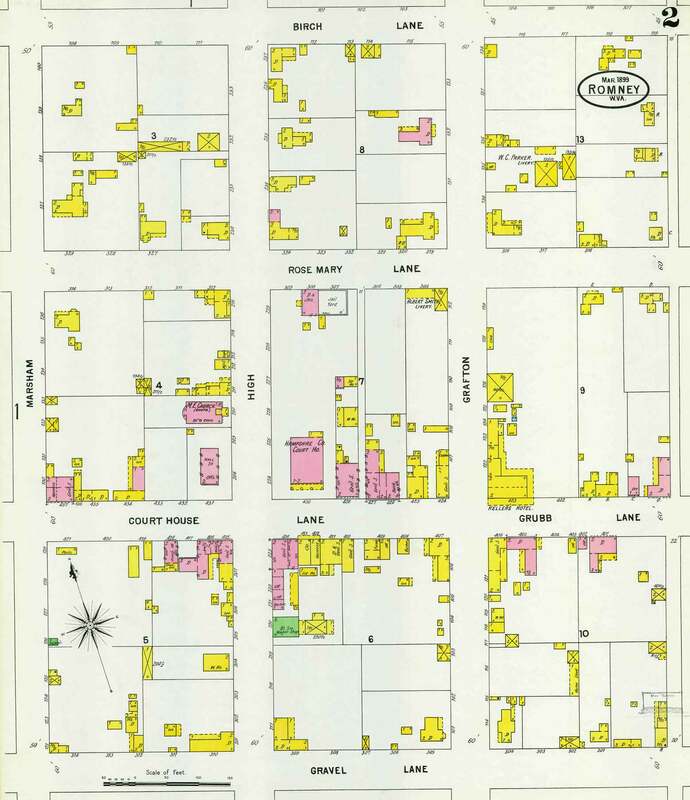 We hope to upload the other sections of town at some later date (2028 to 2041 or thereabouts unless we get some help). 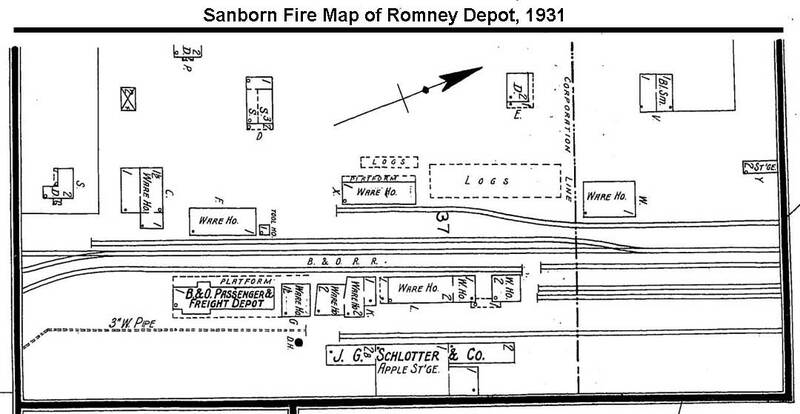 Romney B&O RR Depot 1932 railroad plan with turn-around "Y"
Several colonial era interpretative maps relating to Hampshire County are available from the Museum Shop of The Fort Edwards Foundation. Civil War Veterans - New Section! Bloomery scenes - New Section! H.C. Groups, organizations, activities soldiers, musicians, etc. Who, What, Where???? - please help us! - New! We can not keep up with events, so please visit the Convention and Visitors' Bureau web site. HistoricHampshire.org is supporting the effort to establish the George Washington Frontier Heritage Area to commemorate the stories and preserve the places of our settlers and soldiers and to remember George Washington's role in the westward movement of the frontier. 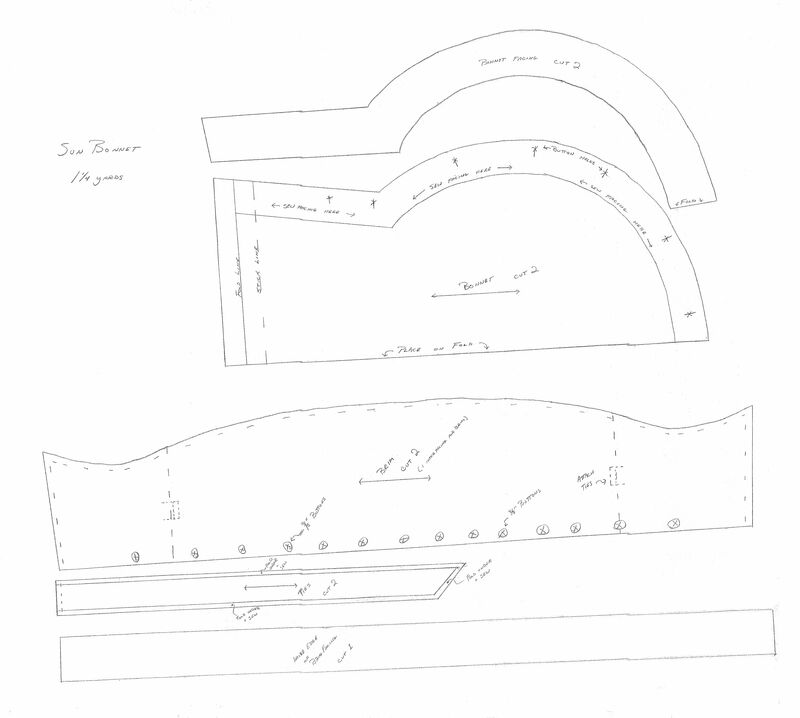 The effort for a National Heritage Area has been discontinued, but we would still like to see some remembrance of Col. Washington's area of responsibility during the French and Indian War so we are keeping the material online for research purposes. About this page's sponsor: N.R.M.S.A.A.D.K. Examples of large graphic murals highlighting history or scenery from other places. Sun bonnet pattern - full size; right click to download. Take to a quick printer that does blueprints and get approximate 36 inch square pattern. © 2000-2014 HistoricHampshire.org All rights reserved.